Some days you plan and some days you don't. 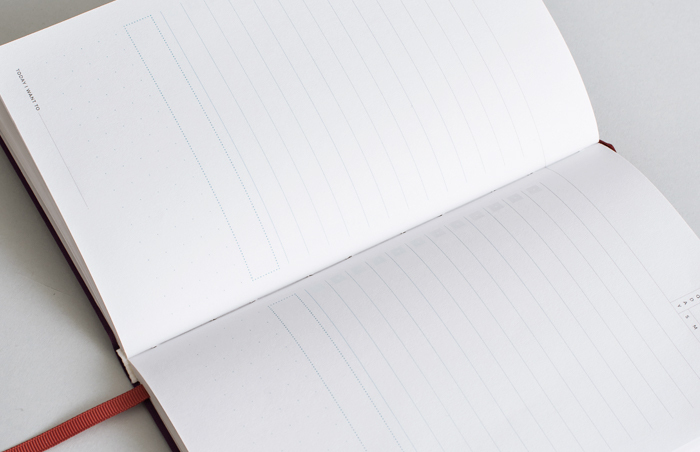 Today pages are dateless, meaning you can maximize every page and plan guilt-free when you want. 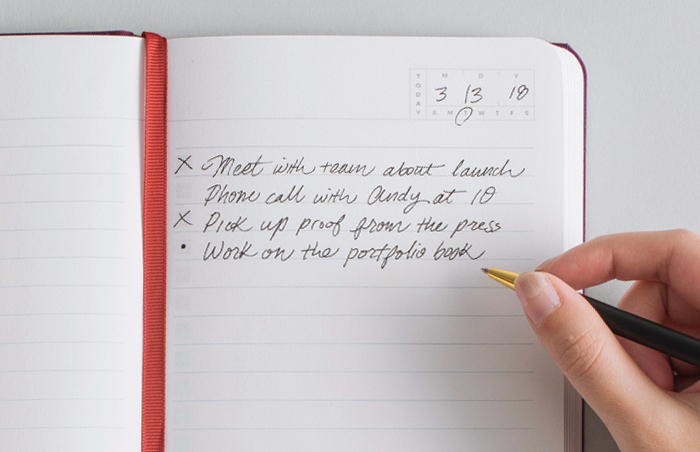 You shouldn't need to fight your planner to stay open. That's why Today uses a special binding method to lay flat when open. Sometimes you just need a place to jot down birthdays, contacts, and usernames/passwords. The Today Planner's got you covered. "In creating the Today planner, we wanted to strip away all the excesses of everyday life and focus on what needs to get done today."